Explore the splendours of the Rhine as you sail South on the luxurious Crystal Debussy from the Netherlands to Switzerland. This spectacular itinerary includes overnights in Amsterdam, Koblenz and Basel. * All fares and savings are per person, in U.S. dollars based on double occupancy. Fares are cruise only and do not include taxes, fees, and port charges of US$250 per person. Rates are based off a sailing departing on 16Oct19. Other departure dates may be at a higher supplement, for more information please contact one of our Travel Specialists. Amsterdam derives its name from a 13th-century protective dam. It is a beautifully preserved city with quaint architectural styles, priceless art treasures and welcoming people. Many of its wondrous highlights are located within the five concentric canals that gird the city’s older neighborhoods and business districts. Whether cruising its waterways or visiting its exquisite galleries and museums, you will discover a wealth of fascinating sightseeing opportunities. A short drive away, characteristic towns preserve their traditional Dutch ways with intricate national costumes, sturdy wooden shoes and purposeful windmills. During the holidays, the Rudesheim Christmas Market takes center stage. Try some deliciously made Rudesheim Coffee, locally made with Asbach Uralt Brandy and whipped cream, exclusively offered during the season. With more that 100 kiosks and stalls offering local wares and seasonal gifts, there is much to see at this annual event—from local Rudesheim coffee to global flavors like Finnish specialties and even Mongolian food fare. 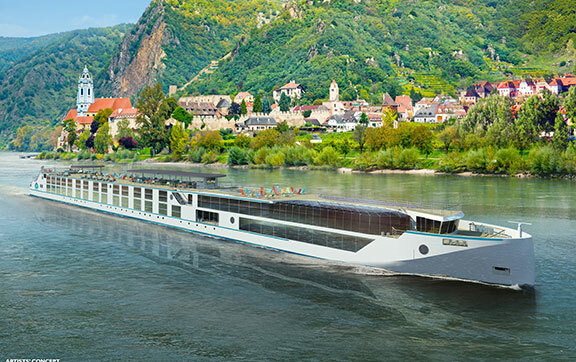 From the World’s Most Awarded Luxury Cruise Line comes an unrivalled new way to explore the legendary capitals and enchanting landscapes of Europe’s majestic waterways. 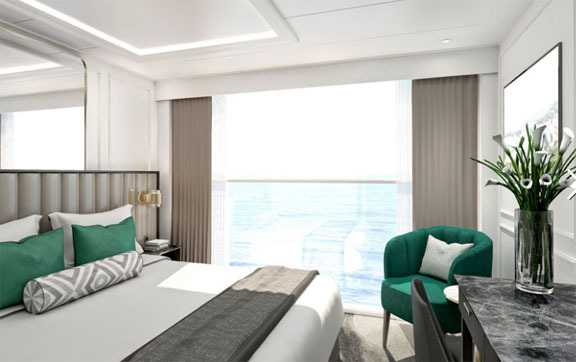 Introducing the all-suite river yachts of Crystal River Cruises. 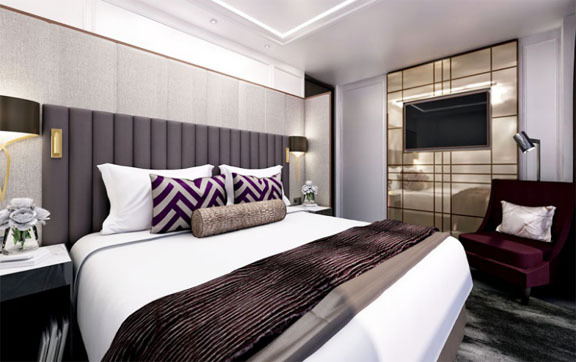 With more overnight stays featuring exclusive experiences ashore, culture seekers and adventurists will appreciate the privileged access and rare opportunity to explore on uniquely personal terms. Service. Space. Quality. 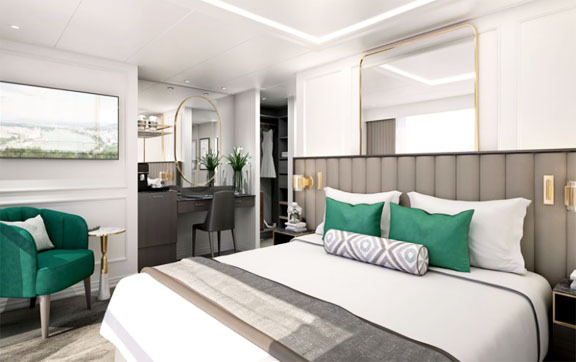 Choices - Completely reimagining the European river experience with the most spacious, state-of-the-art fleet of five all-suite river yachts boasting exceptional design and unparalleled all-inclusive amenities, including butler service for every suite. Each Crystal ship has its own atmosphere and own unique character. With each voyage you sail, you are sure to discover something new on board, but will always come 'home' to a welcomed familiarity-your Crystal Family. Nowhere else does the grandeur and serenity of the world come into view more clearly than it does from the sublime comfort and quiet privacy of your well-appointed verandah stateroom or suite. Welcoming ambiance of contemporary style and warmth, Crystal Cove is host to soft piano music and lively conversation. An ideal setting whether meeting for pre-dinner cocktails or following a day ashore. Renowned for the award-winning cuisine, the elegant Crystal Dining Room aboard Crystal Serenity and Crystal Symphony set the stage for exceptional culinary experiences throughout the day. Evenings are enhanced with a progressive new Modern menu served alongside a Classic menu of traditional favorites.